Newcon Optik Ltd. has been designing and producing state of the art optical systems since 1991. They produce sophisticated systems that meet international and military specifications. The NVS 22 is a front-mounted night vision attachment that converts a daytime riflescope into a formidable nighttime sighting solution. Utilizing a Picatinny/Weaver style mounting system, the NVS 22 can be co-aligned with the daytime optic with relative ease. The high-quality all-glass optical system of the NVS 22 does not employ a catadioptric lens design - this ensures the sharpest sight-picture possible and a significant reduction in parallax. 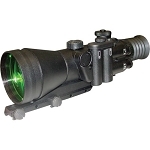 Its magnification factor is 1x - the NVS 22 does not change the eye relief or zero point of the daytime scope. 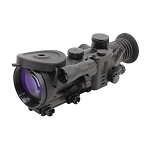 The NVS 22 is recommended for use with riflescopes that have a power of 3-5x, it can also be used successfully with higher-magnification scopes up to 20x. This NVS 22 is fitted with a high-quality 2nd generation intensifier that's capable of producing 57-64 lp/mm of resolution. 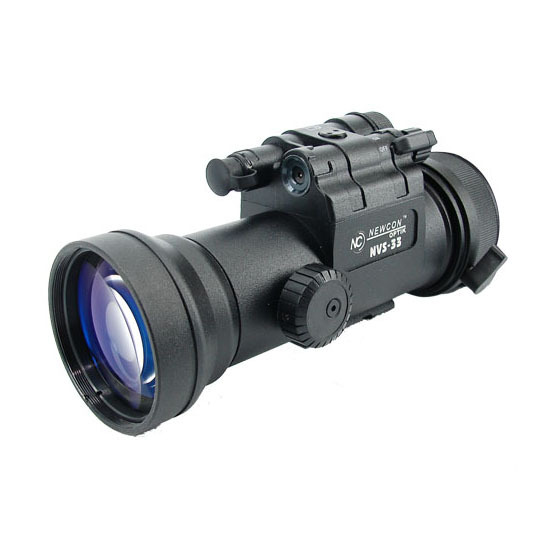 All NVDs sold by B&H feature bright-light protection systems. However, this does not mean that bright light can/will not damage the device. Exposure to bright light compromises the longevity and performance of image intensifier tubes. Second generation intensifiers are less reliant upon ambient light, produce clearer images with less distortion, and last longer than earlier versions of night vision technology.